There’s something mystical about every birth, but there’s an aura surrounding water births that’s hard to explain. There are those first magical moments after birth when bub isn’t quite earthside but is no longer in the womb. A precious baby has been welcomed into the world but hasn’t taken a single breath. It’s this heart-stirring moment that’s been captured in a spectacular photograph by Marijke Thoen. A little sister, meeting her baby brother … peering in through a glass tub as he straddles two worlds. Extraordinary. 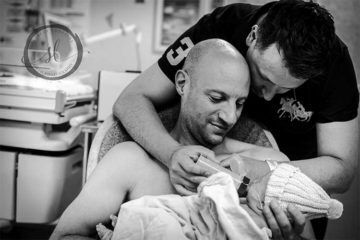 While the astonishing image itself is enough to get people talking, it’s the treatment of the photograph on social media that’s also gained traction. 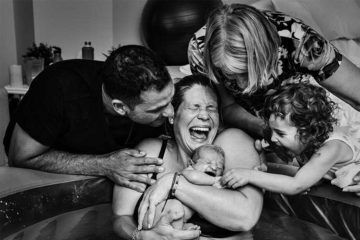 Birth photographer Marijke Thoen, from Belgium, initially shared the snap on Facebook and Instagram, writing, “Probably my favourite shot from last night’s water birth. 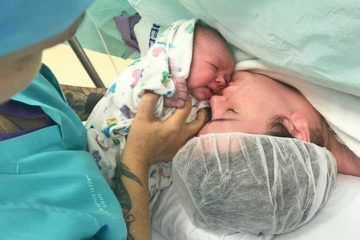 Big sister meets baby brother.” While the photograph was lauded for its beauty, it wasn’t long before it was removed from both social media channels, and Marijke blocked. 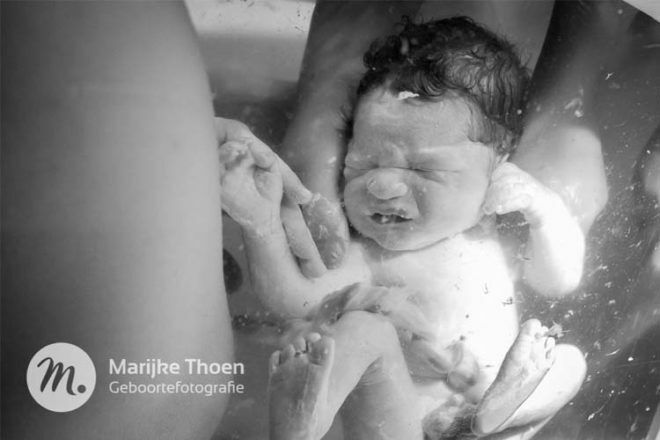 “A few days ago I made this special picture of the birth of the brother of the baby with whose photo is two years ago won the prize for most beautiful birth photo,” Marijke explained on her blog. But the backlash from supporters was swift, and eventually, Marijke announced the image had once again been posted, and her rights reinstated. Such an inspiring image of yet another unique birth. 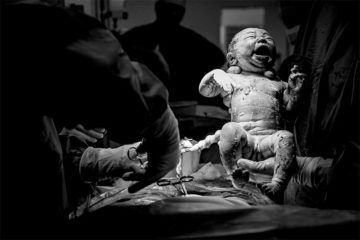 Make sure you view our article exploring clear drape c-section photography for more beautiful birth images.